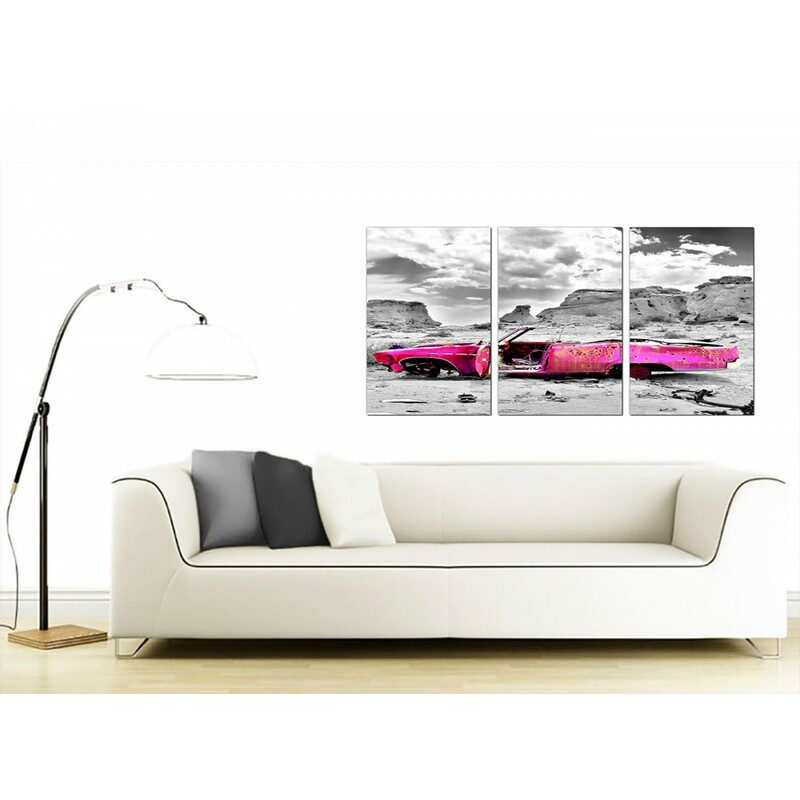 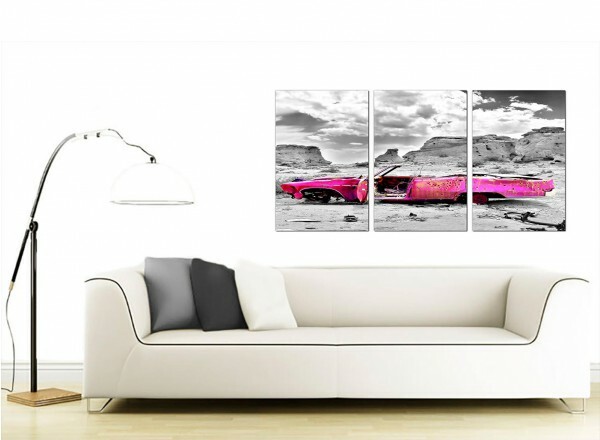 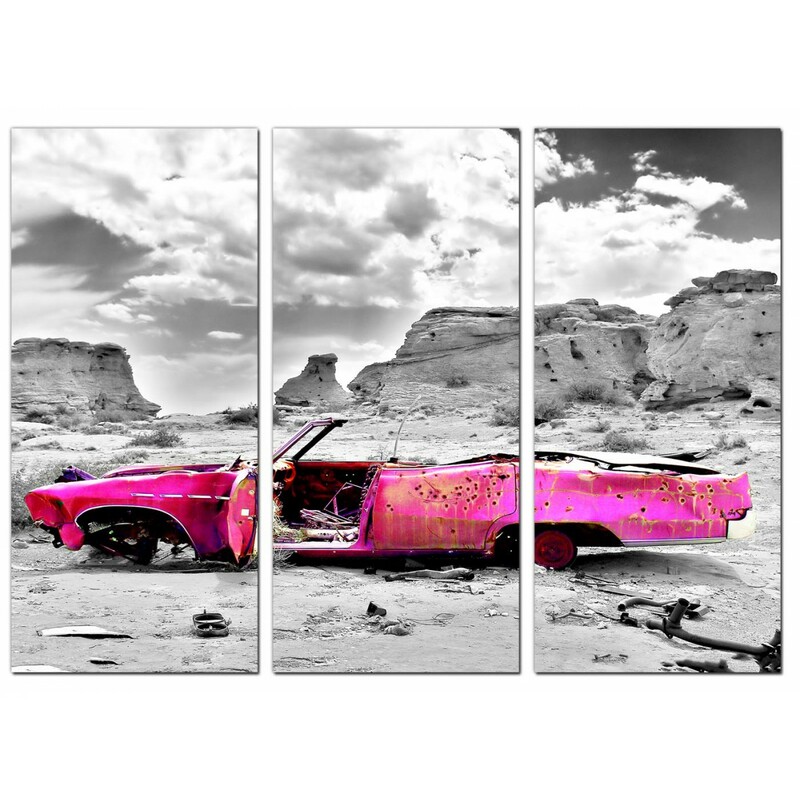 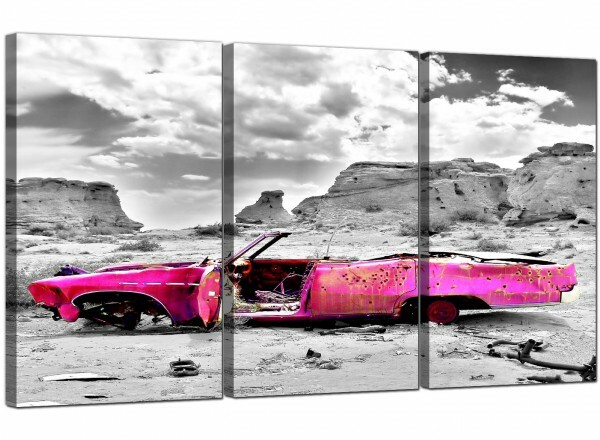 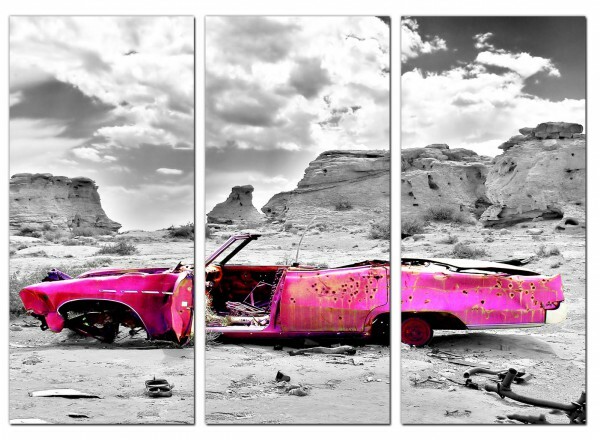 Landscape canvases of a pink car in a monochrome desert. 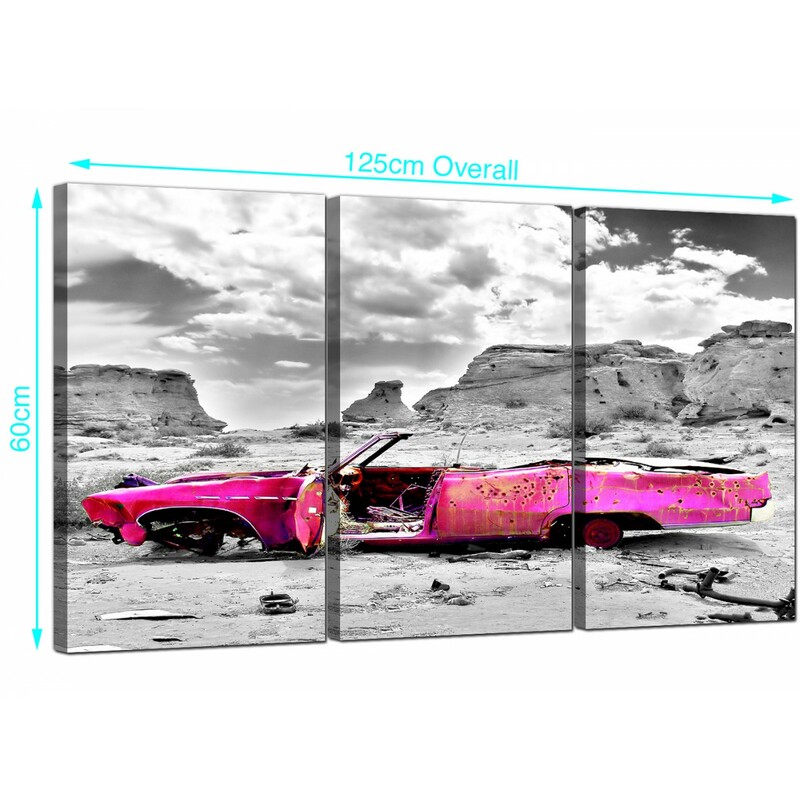 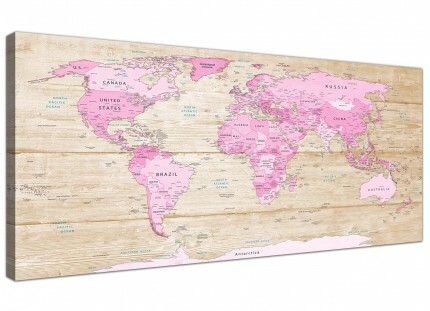 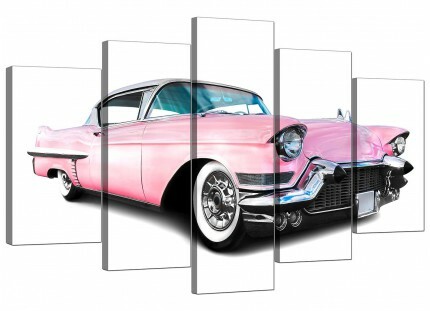 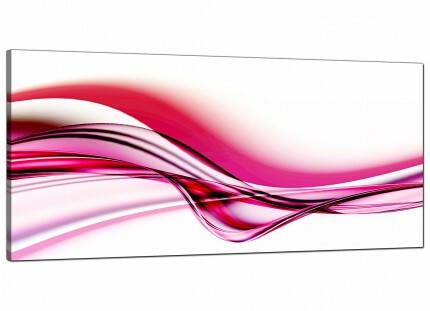 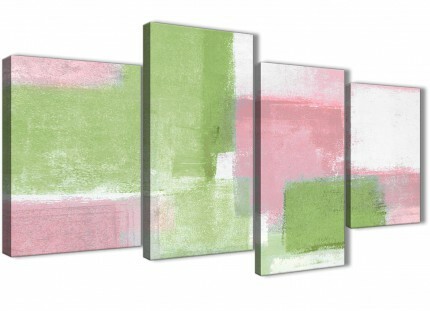 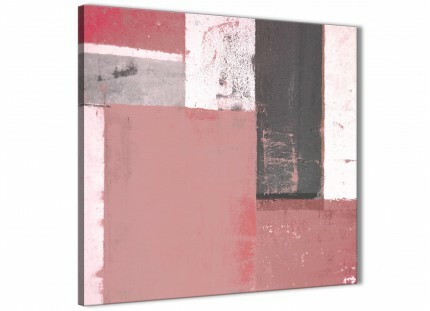 A substantial pink stylish three part set of wall pictures. 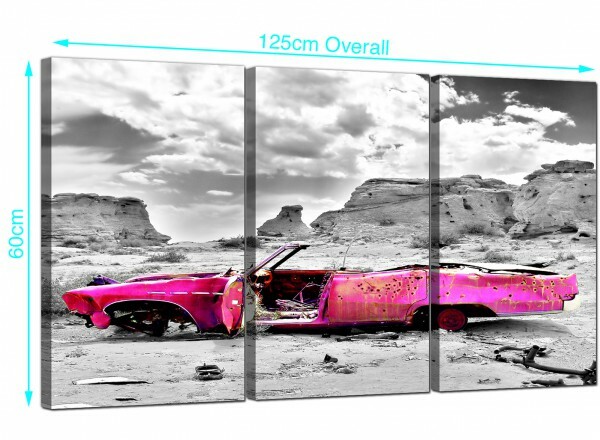 The UK's most reliable canvas art gallery. 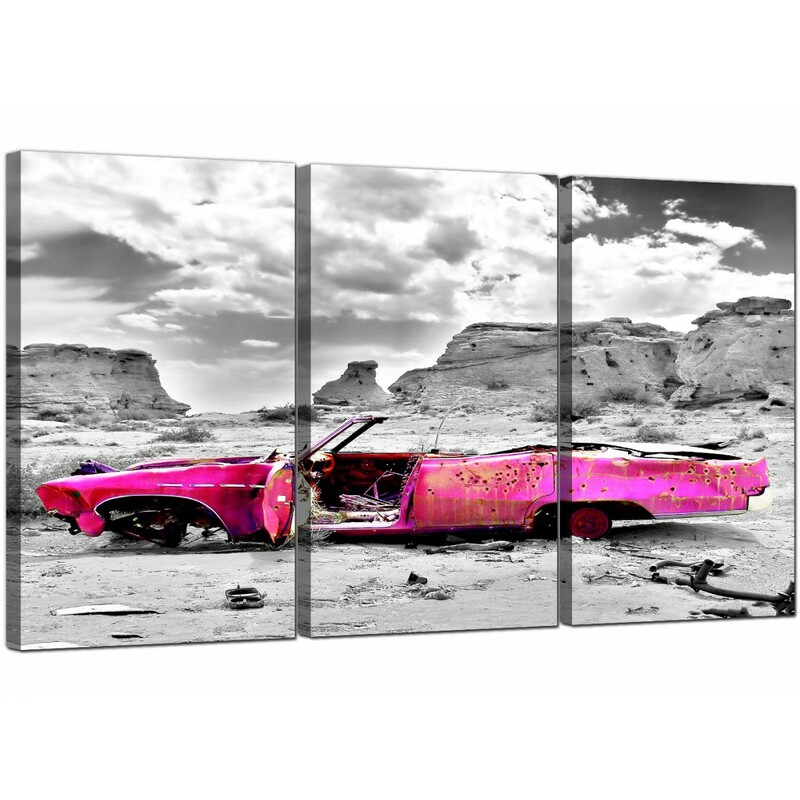 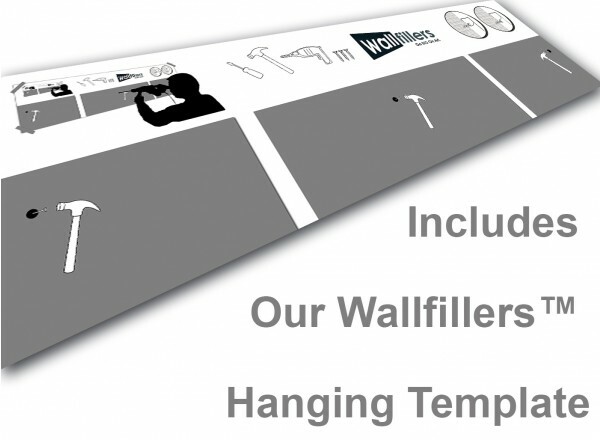 Canvas sets are made at high resolution with with fade proof inks. 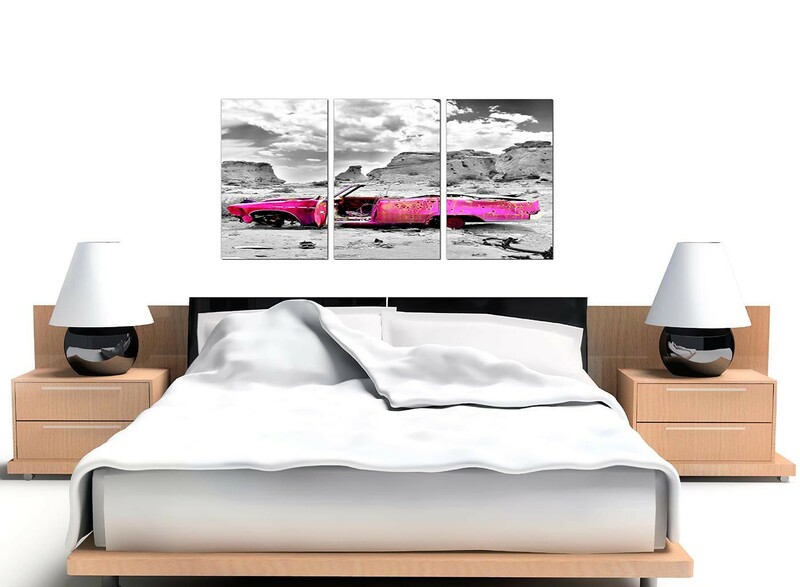 Good size for above the bed. Proportions: 125 x 60cm (49"x24") inclusive of spaces. 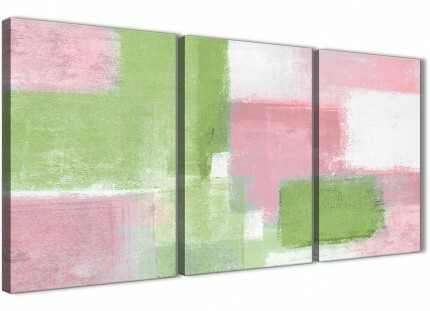 Each of the canvases measure 16in x 24in. 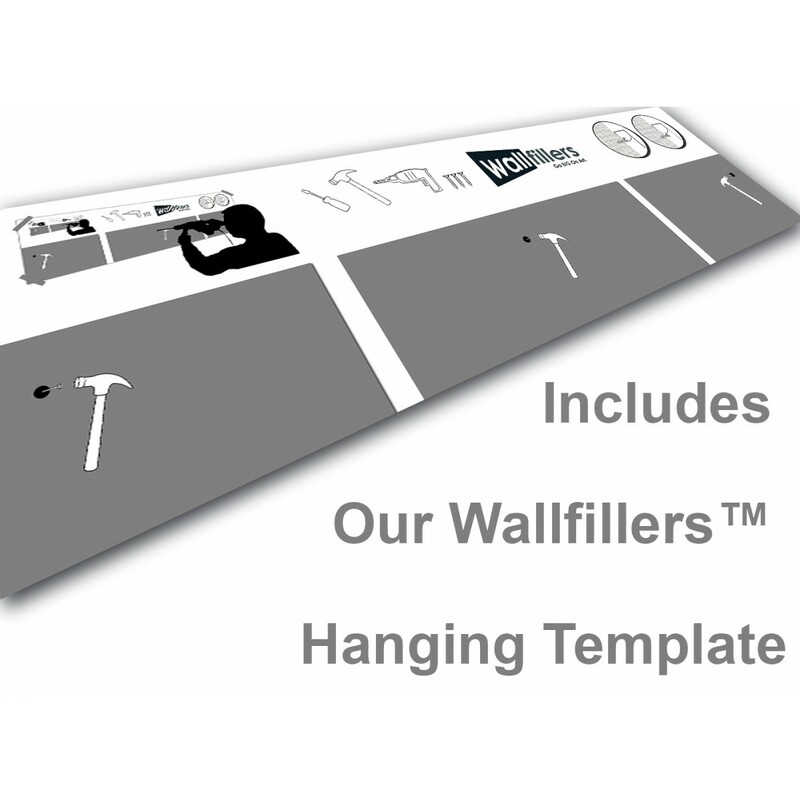 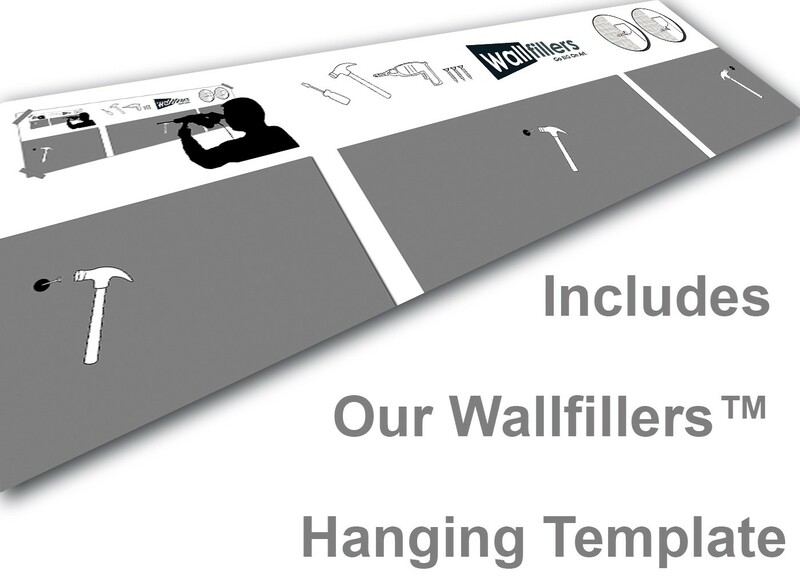 We recommend a gap of 2.5cm between each part.